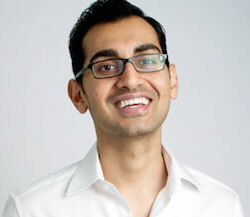 Tag Archives for " Neil Patel "
If you’re not following pretty much everything that comes out of Neil Patel’s Quicksprout, well, you’re missing one of the richest veins of pure gold online. Patel founded, operated, sold, and recreated several very successful ventures and shares a ton of lessons learned in what amounts to a university level course in online marketing. Patel is all about conversion and metrics and it shows not only in his own work in the companies he created. This week I revisit one of my favorite interviews from earlier this year when I spoke to Neil Patel, founder of online tools and services such as Crazy Egg, KISSMetrics, and HelloBar, and one of the leaders in using metrics and data in Marketing.